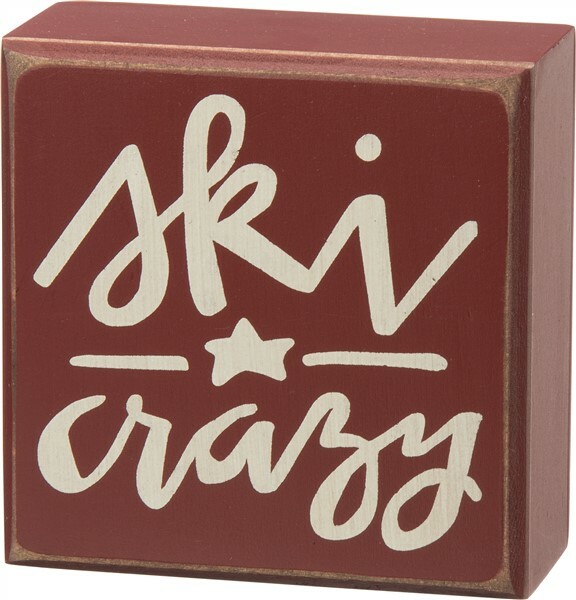 Perfect gift for a ski crazy friend! This box sign is a pretty reddish rust color, made of wood and is approx 4" square. A great gift for the cabin host!